Travel with pets: Which airlines will take my dog or cat on board? Jet-set pets are a serious business, with more and more airlines making arrangements to take dogs and cats on board. Jet-petters can't simply up sticks and fly with Fido on a whim, however - travelling with pets is popular, but lots of red tape is involved. Before overseas travel, dogs and cats may need a valid pet passport, microchip and to meet certain vaccinations criteria (see agricultgure.gov.ie/pets for more). A veterinary health certificate may be required, too. Don't even think of chancing it with your pet at check-in. 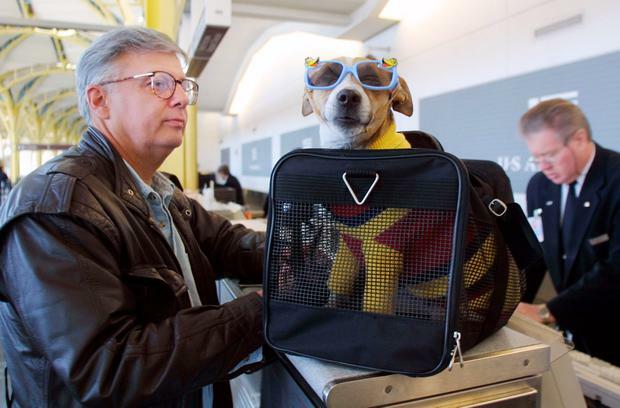 Pet policies differ among individual airlines (Ryanair only carries Guide/Assistance animals, for instance), and almost all require advance booking. Rules differ on European and long-haul services too - and within different regions. "If they can be part of the family, they can be part of the holiday!" 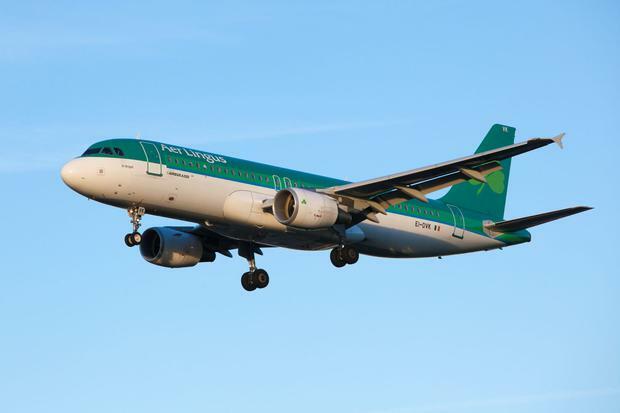 Aer Lingus gushes, offering a range of European and transatlantic options. On European flights, pets must be booked to travel with Aer Lingus Cargo (aerlinguscargo.com). If accepted, dogs and cats travel in the aircraft hold, and owners must provide crates meeting IATA regulations - only passengers travelling with service animals can take them in the cabin. The rules differ for transatlantic flights, where household cats and dogs can be booked as excess baggage by contacting Aer Lingus Reservations (aerlingus.com; 1890 800 600). A €160 fee per flight sector, per crate, applies. Note that there are exceptions - including for puppies under 10 weeks of age, bulldogs and pugs, and for certain dangerous breeds, including Pit Bull Terriers and Rottweilers. No pet of larger than 40kg may be carried, the airline says. Freight Forwarders working with pets on flights include Multi Cargo (multicargo.ie), Pets on Board (petsonboard.ie) and Air Sea Forwarding (airsea.ie). Ryanair currently does not carry pets, though it does carry Guide/Assistance dogs as long as they carry Pet Passports, veterinary health certificates and documentation confirming their affiliation with a Guide/Assistance dog organisation. Service animals are not accepted on flights to/from Morocco or Israel. 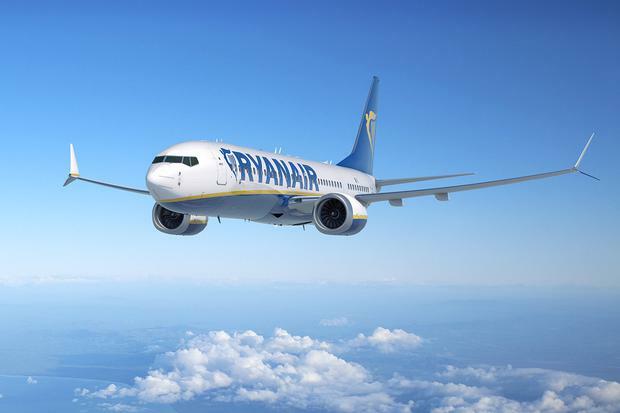 Ryanair's pet policy may change in the future, however, with a spokesperson recently suggesting that pet-friendly flights were under consideration. Similar to Ryanair, easyJet and CityJet only take Guide/Assistance dogs. Other pets are not carried, even in cargo. British Airways (ba.com) allows dogs and cats to travel in the temperature-controlled hold on both short and long-haul flights. KLM (klm.com) allows passengers to take small cats and dogs (<8kg) into economy class cabins on most European flights, in a suitable travel bag or kennel which must be placed under the seat in front of you. It does not allow the removal of animals in-flight, and bookings must be made 48 hours before travel. Larger pets can be carried as check-in baggage or freight. Lufthansa (lufthansa.com) has similar rules, allowing the carriage of small animals in the cabin, with larger animals in the cargo hold. Emirates and Etihad do not permit the in-cabin carriage of pets, but will transport dogs and cats as cargo (see skycargo.com for more). Monarch (monarch.co.uk) welcomes pets, but only six animals can travel per flight, so it's important to book in advance. SAS (flysas.com) carries cats and dogs with advance booking, at €66 per cage. Guide/Assistance dogs travel free of charge in the cabin. Virgin Atlantic (virgin-atlantic.com) may just scoop the pooch-friendly travel award, with a Flying Paws programme allowing pets their own loyalty points! For more airline pet info, see pettravel.com. Heather Abrey is originally from Ontario, Canada. 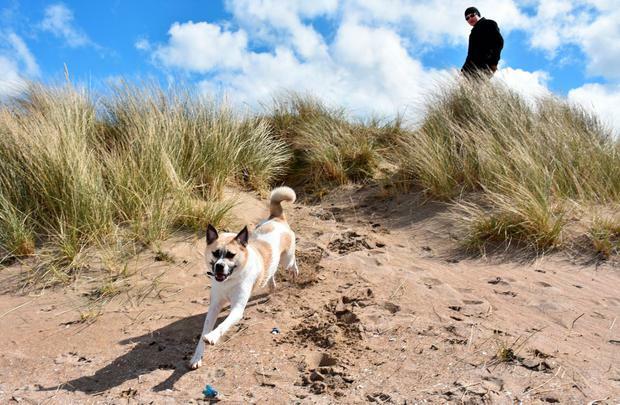 She moved with her husband Brandon, two cats and a dog (Cooper, pictured with Brandon on Malahide beach, above) to Dublin recently, and found pet travel fraught with complications. "Importing pets from North America into Ireland is actually much more complicated and expensive than it seems. For instance, you can't book directly with Aer Lingus freight. You have to use a freight forwarding agent and pay considerable fees, far beyond €160 per crate. "It wasn't the airline's fault (we flew with Aer Lingus). But the whole ordeal cost a small fortune and probably took years off my life in stress! "Our move involved a lot of paperwork, several vet visits, a trip to government offices to have everything certified and the nagging worry that if anything wasn't proper the animals could be shipped back at our expense or quarantined. Many vets are not familiar with the paperwork. "It's like this when you are flying pets from North America to both Ireland and the UK. Interestingly, however, if you fly into other European nations it is considerably cheaper. It's also much easier and cheaper if you are flying to North America from Ireland. "In the end, everyone made it into Ireland with no problems and tolerated the actual flight very well. It was a challenge, but we wouldn't have made the move without our pets. "I understand that the regulations are there to protect Ireland from things it doesn't already have, like rabies and Echinococcus multilocularis. I'm not sure why the cost is so drastically different from, say, flying your pets into France and then taking them into Ireland on the ferry, though!"